We are a professionally managed organisation having extensive experience in the field of all Ferrous & Non-Ferrous metals. Having more than two decades of experience and expertise, We have excellent sourcing network in India and across the world to supply all stainless steel, Carbon steel, Nickel Alloy & Special alloys in the shape of Pipes, Tubes, Sheets, Plates, Rods, Pipe Fittings, Flanges etc. We generally stock huge quantities in stock which gives that edge to supply on demand and at competitive price. We are also a leading stockists of Jindal stainless Ltd.
Our management style has been the key to our success as we delegates responsibility to the specific need of every customers and we have made every customer a member of our family. Every member from management, managers to workers each one is encouraged to achieve highest performance in quality & service resulting in Total Customer Satisfaction. As a testimony to our relentless efforts in satisfying the client's need, we have been retained by various clients across industries like Refineries & Petrochemicals, Oil & Gas, Chemicals & Fertilizers, Cement, Engineering, Construction, Sugar, Nuclear & Thermal, Paper & Pulp etc. This catalogue has been designed to help Plant Engineers, Purchase Managers and Plant Designers in gathering all the required information / data and useful facts, which will make buying decision much easier for them. We assure you our best services and quality materials at all times. With our industry expertise of more than 7 decades, we have gained the expertise in developing quality assured range of Stainless Steel Sheets, Stainless Steel Pipes & Tubes and Allied Products. Offered in various specifications, these find applications in Gas Pipe Lines, Oil Pipe Lines and Construction Industries. We also meet customized requirement for our clients benefit. 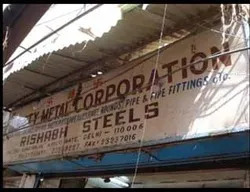 We are backed by a team of diligent workforce who always tries to achieve ultimate goal of client satisfaction by their hard work and dedication in manufacturing a wide range of Stainless Steel Sheets, Stainless Steel Pipes & Tubes and Allied Products. Furthermore, these professionals are kept updated with the latest industry developments along with regular in-house trainings. We are engaged in offering quality Stainless Steel Sheet, Pipes & Tubes to our valued customers. These are manufactured under the supervision of diligent quality controllers who uses quality basic material. Precision engineered by our experienced technicians and engineers, these are known for sturdy design and high strength. Besides, these are finding applications in Power Projects, Ash Handling System and Automobile Industry.